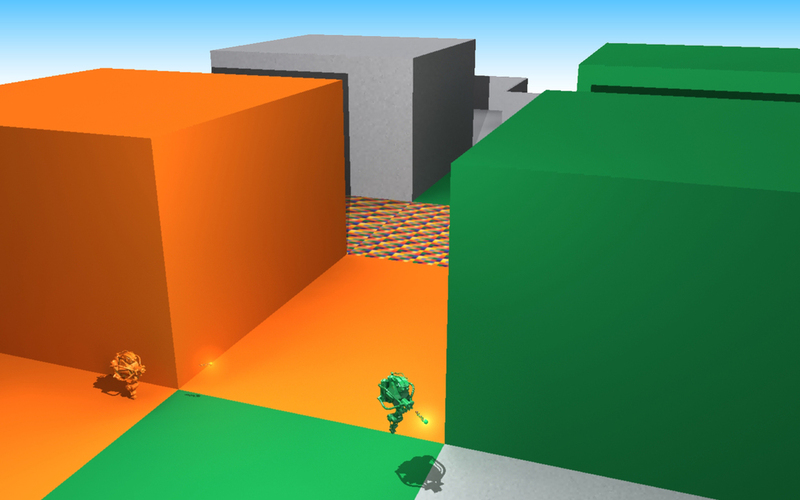 A FIRST PERSON SHOOTER WITH A SURPRISING GAME MECHANIC. 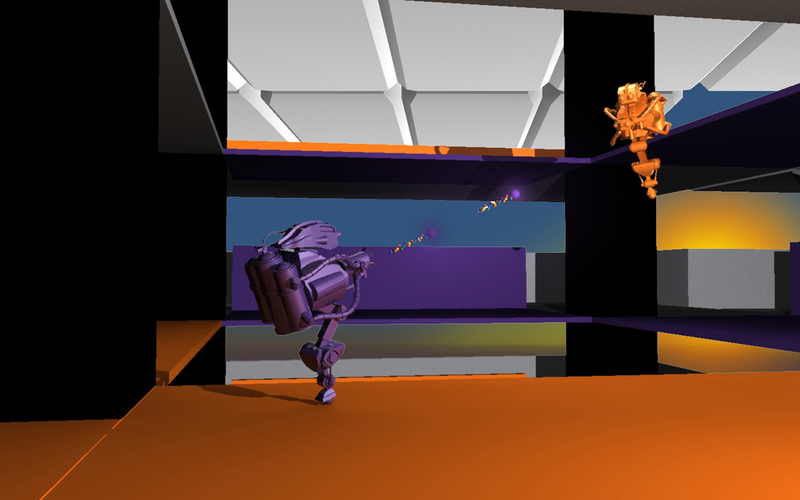 Hidden was showcased at E3 2013 as part of IndieCade. Hidden is a multiplayer First Person Shooter (FPS) in which opponents must fight against each other in different maps. The game uses camping, a technique used in FPS games that is looked at negatively, as its main mechanic. 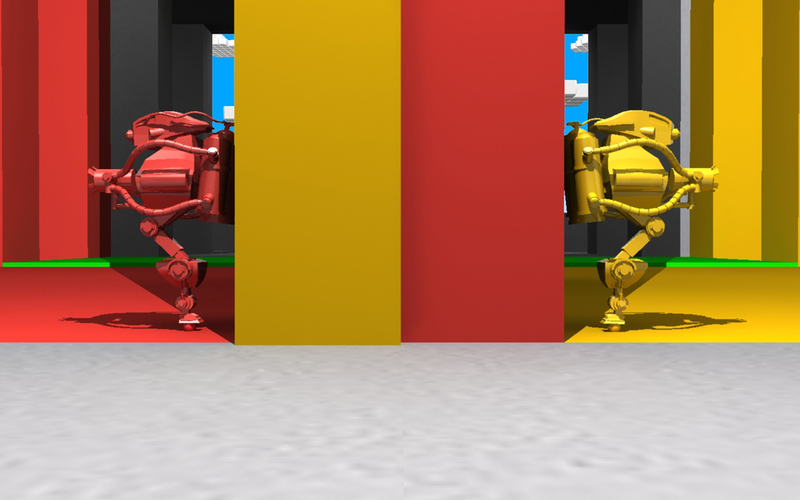 By coloring walls, the players can camouflage themselves from their opponents and choose to stay...hidden or close in for the kill. 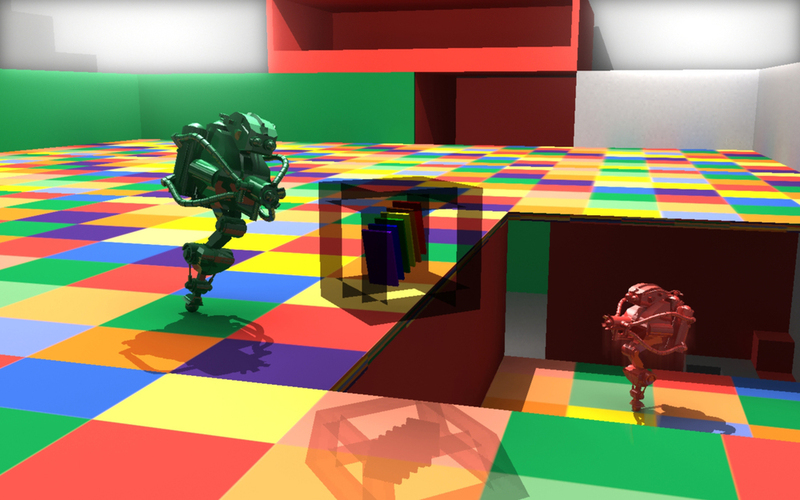 The game features 10 unique levels and 6 colors to choose from. 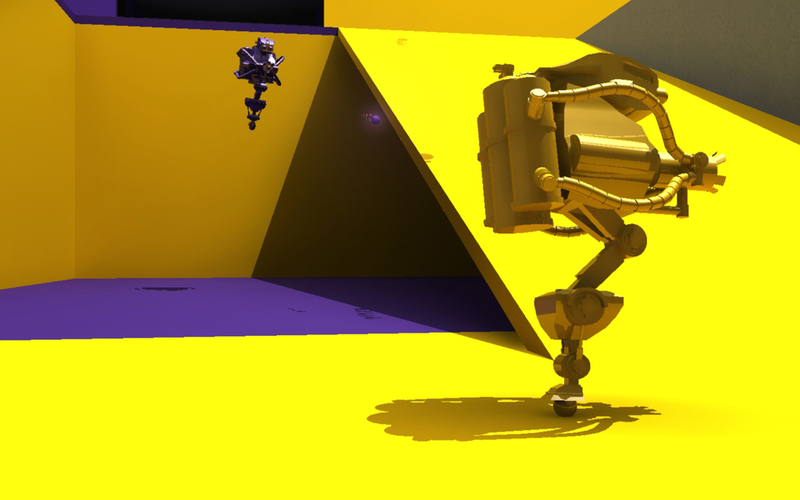 Hidden has been submitted to 'IndieCade'. It has also been shown at various events and played by people of varying ages. Check out gameplay from our beta above and scroll down to see more images! The game features 10 unique levels. Color the environment to hide yourself or find hidden players. A lot of playtesting has been done with kids and adults alike to perfect the HUD & gameplay. Players have 6 colors to choose from.